Over a year ago, I wrote about Amazon Echo, a virtual assistant by Amazon that you simply place in your home. To wake Echo, you simply say “Alexa” and the virtual assistant will provide you with music, news, weather, alarms, timers, to-do lists, and more. 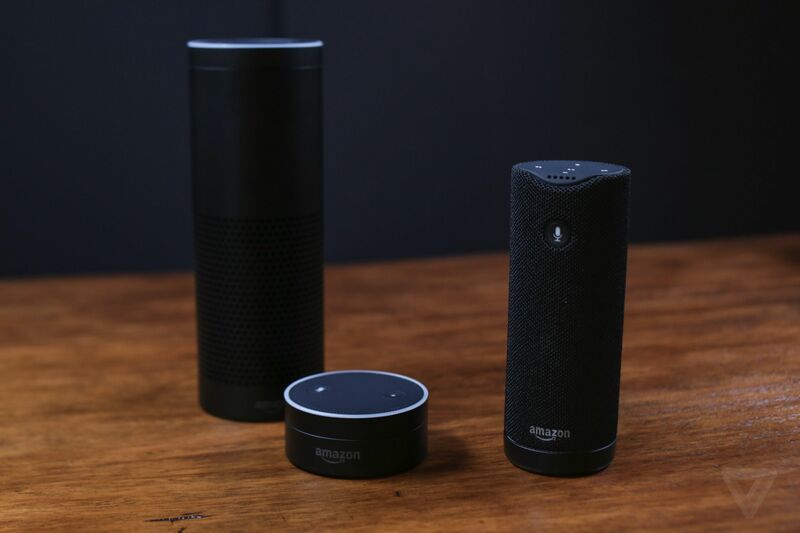 More recently, Amazon has introduced two new members to their virtual assistant family: Amazon Tap and Echo Dot. So what sets the Tap and Dot apart from their predecessor? Let’s find out! Amazon Tap is a 6.2-inch-tall cylinder speaker with a 7-piece microphone array. In sum, Tap is a smaller, more affordable and portable version of Echo. It’ll be released March 31, 2016 and will cost around $130 (versus the Echo at $180). Can stream up to 9 hours of audio on full charge, or last up to 3 weeks on standby mode. Main difference from Echo: Tap is not always listening. You must tap the mic button to access Alexa on this device. Click here to learn more about Amazon Tap. Uses Alexa Voice Service to play music, provide info, set alarms, control smart home devices and more. Main difference from Echo: Full-size speaker is gone. Idea is that you’ll hook Dot up to your own audio setup (via out jack or Bluetooth) so you can use Alexa with existing speakers.